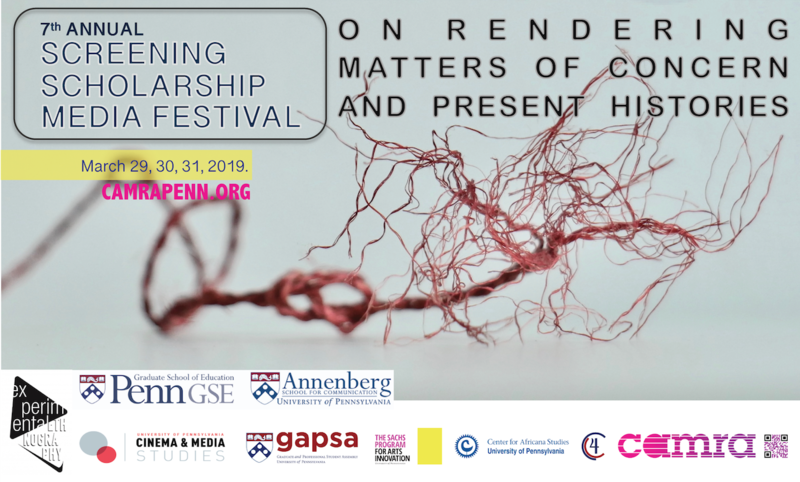 The Screening Scholarship Media Festival (SSMF) provides a creative, collaborative space to explore the affordances and challenges of multimodal strategies in research, and to interrogate their social implications. SSMF is a hybrid between a traditional academic conference and a film/media festival that fosters the intersection of art and science across disciplines since 2013. Diasporic communities | LGBTQ+ collectives | Environments in conflict. As collaborative designed to explore and challenge research as praxis, SSMF proposes rendering as those manifold possibilities by which scholarship become legible, audible, sensible and noticeable to multiple registers. This year’s SSMF aims to create a unique dialogue on multimodal research and a salient hub for experimentation in a broader, domestic, and international stage.